For further details visit the project or the technical details pages of the JMA web site. A passive house designed by John McCall Architects, which runs on the energy equivalent to that used by a 40W lightbulb, has won a national green award. 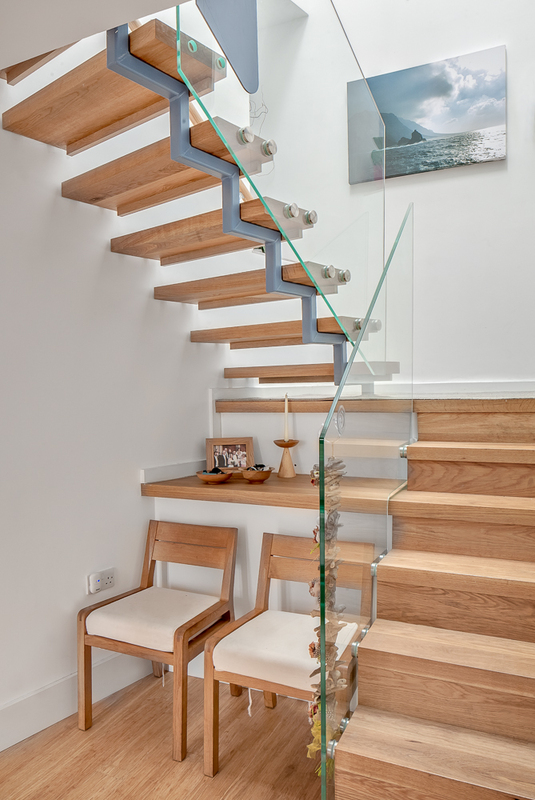 Practice director, Colin Usher, designed the home in West Kirby, Wirral, for himself and his wife. It won the Domestic Newbuild category of the Buildings and Energy Efficiency Awards. 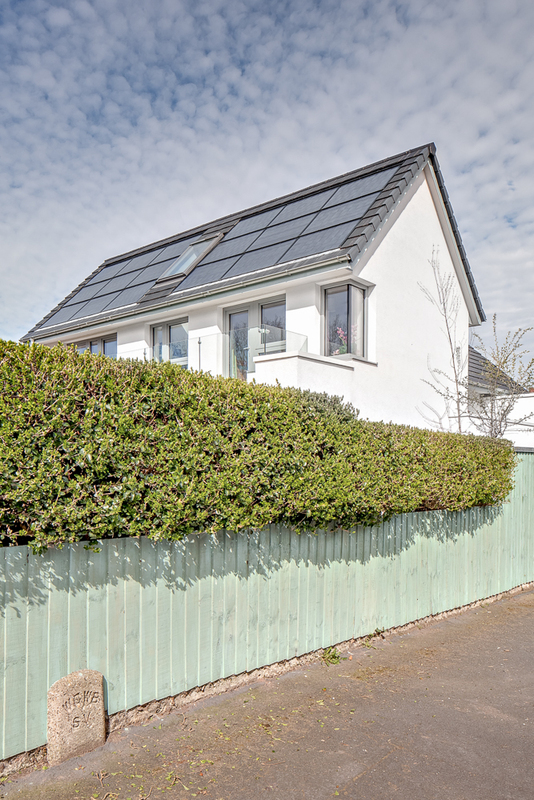 The £240,000 four-bedroom house features an insulated masonry and concrete structure, under floor heating, triple glazing, LED lighting and an air source heat pump. 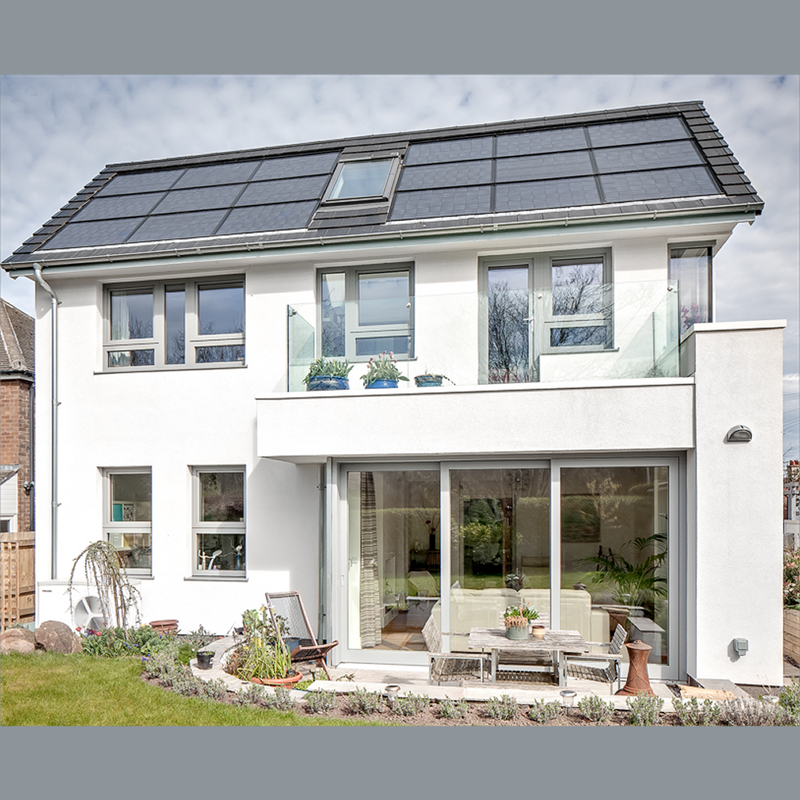 It was carefully orientated so the windows and solar roof panels get optimum sunlight exposure. The result is a house that has been lived in for two years and the energy cost for heating, lighting, hot water and cooking is just £15 per annum. 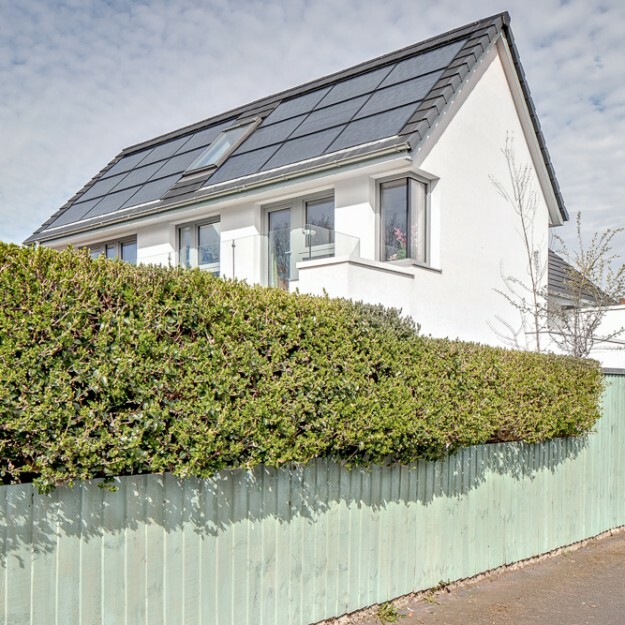 For comparison, John McCall Architects recently designed a home of the same size and construction cost to a good standard that met new building regulations but is costing £1,800-a-year to heat. 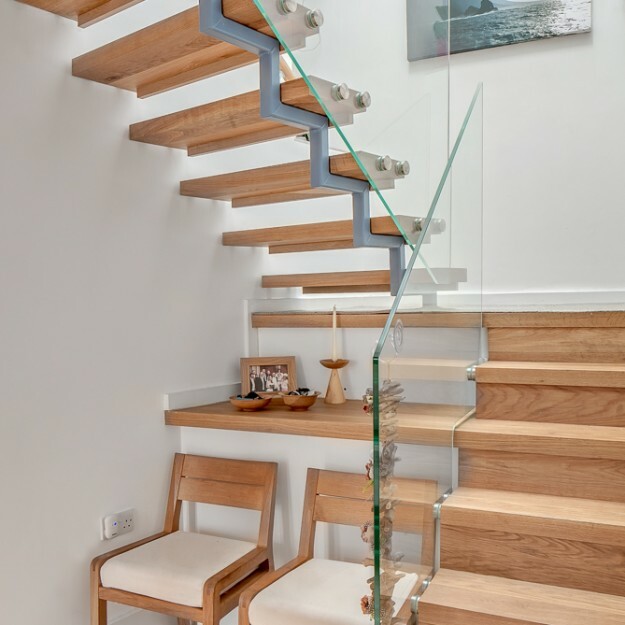 Director at John McCall Architects, Colin Usher, said: “We are delighted to have won this award because it proves eco homes don’t have to be over expensive or need to be conspicuously unconventional in appearance. “This is a simple building and in effect, runs on the same amount of power used by a 40W light bulb. 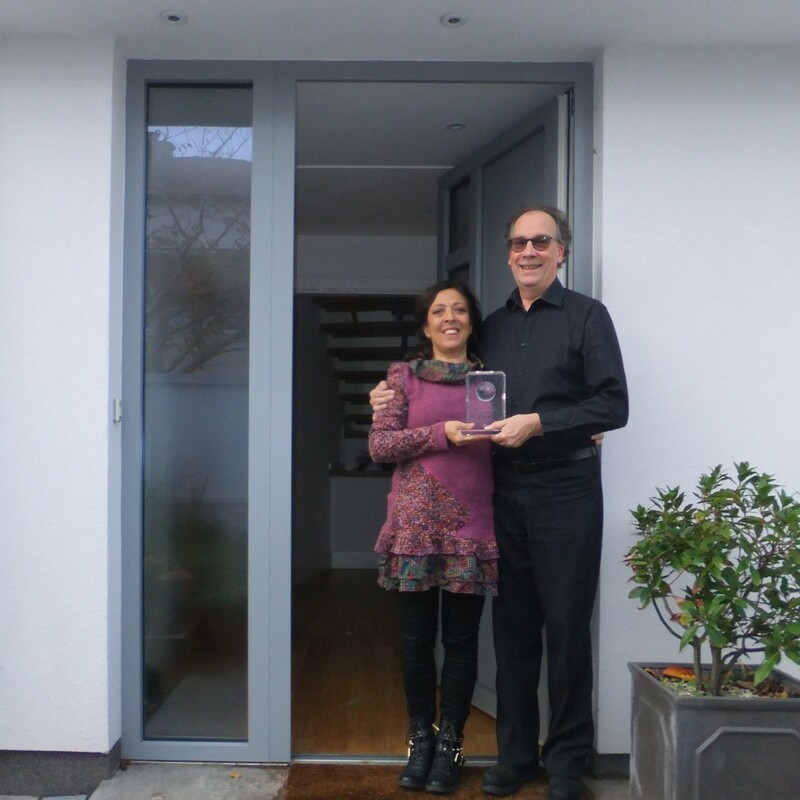 “The award judges commented that many buildings do not perform to the levels intended by the designers but our house comfortably exceeds them. The building’s high ceilings, carefully positioned glass and generous spaces allows natural light to flood in and provide natural heat. “It is very comfortable to live in and its appearance is not incongruous with surrounding houses,” adds Mr Usher.